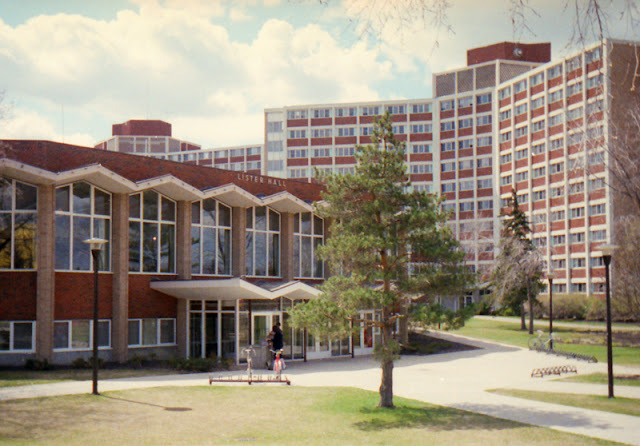 Over two decades ago, I spent four years as a resident of Lister Hall on the University of Alberta campus. 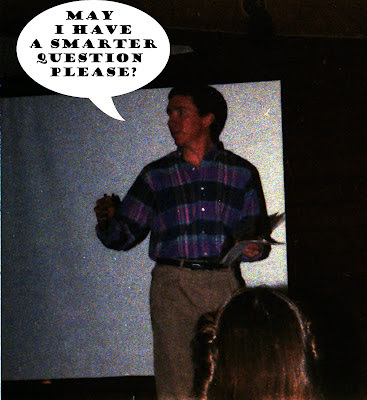 I moved in for a four-year stint in the Kelsey tower in September of 1987, but over a year before that I stayed in the Henday tower as one of a couple of dozen students participating in the Rotary Club's 1986 Forum for Young Albertans. This recovered image captures Lister (and Kelsey and Mackenzie towers in the background) as they stood in May 1986. "Mr. Blumes, many Canadians are concerned by the dominance of American companies on Canadian soil. Mark's Work Wearhouse is in the process of opening stores in the United States. How do you feel about reversing that trend of American dominance?" "Not an issue at all, ridiculous," Blumes replied. "Next question." How would you quantify your current amount of nationalist fervor? Half empty? Half full? Understated? Scandinavian?